Recent months bought rave reviews from their Berlin Philharmonic debut, Wigmore Hall debut, and BBC radio live performances. Their London series celebrating Richard Strauss 150 years saw a mammoth collaboration of 35 outstanding young musicians from Britain and Europe, of which The STRAD wrote ‘rendered in vivid colours, brilliantly placed and combining striking individual virtuosity with chamber-like collegiality’. Comprising soloists and chamber musicians of individual distinction from many corners of the world, is an ensemble born largely of The Menuhin School and IMS Prussia Cove, founded by dynamic flautist and Artistic director Ana de la Vega. A flexible and changeable formation allows members to maintain their expanding and demanding careers, allowing great flexibility in musical programming and exploration. Next season takes inspiration from the German courts of Frederic the Great, presenting a series of solo concerto’s, the Brandenburgs, and the flute concertos written by the King himself, juxtaposed with the greatest of the Romantic works for string quintet and sextet. Few flautists of her generation have performed so extensively worldwide as soloist and chamber musician. Ana de la Vega’s recent Wigmore Hall debut was reviewed as ‘Outstanding’ (Classical Sourse), her Cadogan Hall London performance as ‘true artistry’ (Musical Opinion), and her Berlin Philharmonie debut as ‘first-class’.Having recently returned from a sold-out solo tour of the Middle East Ana de la Vega soon embarks on a tour of Austral-Asia with pianist Lauma Skride. Ana was student of the Conservatoire Supérieur de Paris where studied for her Premier Prix under Catherine Cantin, as well as with Philippe Pierlot and Raymond Guiot. 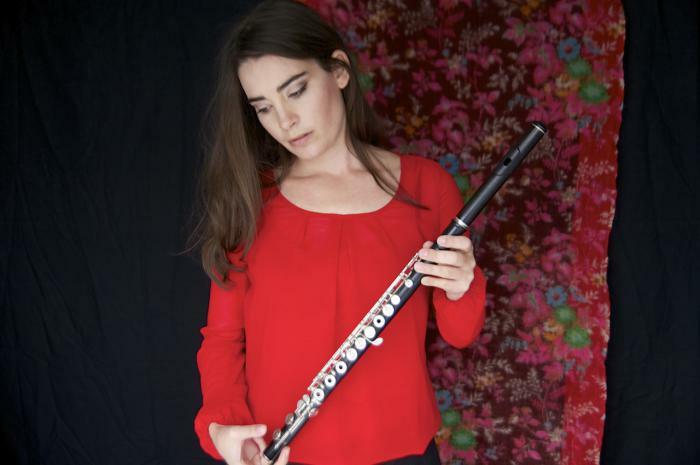 Born in Australia to British and Argentinian parents, Ana is a successor of the great French school of Flute playing! At the age of 23 she won the position of Principal Flute with the Orquestra Sinfonica do Norte in Portugal. Since then she has held Principal Flute positions with the EPK Europa Philharmonie in Baden-Württemberg in Germany, and the Philharmonie der Nationen in Hamburg. Ana is founder and artistic director of the London International Players. This dynamic London ensemble brings together undoubtedly the finest musicians of her generation. On the wings of her dynamism they have already in their first season performed in Europes greatest halls to high regard, making headlines in the UK and abroad with their ‘explosive and ‘dazzling’ performances (World Of Classical Music, Wigmore Hall review). 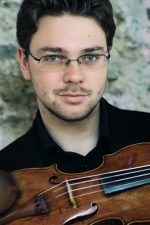 Daniel Röhn is the outstanding third generation in a family of extraordinary violinists. As the grandson of Furtwängler’s concertmaster of the Berlin Philharmonic, and son of Andreas Röhn, Bavarian Radio Symphony Orchestra concertmaster for nearly 30 years, he evidently (!) received early violin training at home before studying under Ana Chumachenco in Munich. On invitation by Riccardo Muti, Lorin Maazel, Esa-Pekka Salonen, Ion Marin and Gustavo Dudamel, to name but a few, Röhn has performed as soloist worldwide to great acclaim. His Claves recording début won a Diapason d’Or, and a Supersonic (Pizzicato magazine), and his Schubert Fantasy was regarded as “one of the most accomplished versions ever recorded” (Diapason). Past months brought rave reviews for his Laeiszhalle Hamburg and Southbank Centre London solo appearances, as well as a highly acclaimed series of Munich concerto dates with Bruch’s Scottisch Fantasie. including the Bach Double Concerto, Bartok Duos at St James’ Palace, and when Alexander played the Mendelssohn concerto under Menuhin’s baton. He has gone on to perform with the netherlands Philharmonic, the Philharmonia, Royal Philharmonic, english Chamber Orchestra, Academy of St. Martin’s in the Fields, and the BBC Concert Orchestra among many others. He has shared the stage with Julia Fischer, Janine Jansen, Misha Maisky, Polina Leschenko, Julian Rachlin and many others. Alexander has recorded for Angel/eMI, Decca and Orfeo including the Bach Double Concerto with Julia Fischer. Plans last season included orchestral invitations in england, Holland, Spain, Russia and germany as well as recital and festival appearances in norway, Japan, and Romania. Alexander performs in the Sitkovetsky Piano Trio, regularly giving performances in england at the wigmore Hall and all around the country and across europe in Halls such as the Amsterdam’s Concertgebouw and the Frankfurt Alte Oper. 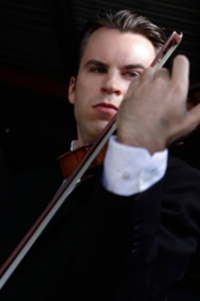 Benjamin Roskams currently holds position of first violin with the BBC Symphony Orchestra. In addition Benjamin has led the Dutch National Ballet as well as acting as guest deputy concertmaster of the Gothenburg Symphony Orchestra and Holland Symfonia. In the UK he works regularly with the LSO, LPO and Philharmonia Orchestra. He began playing the violin at the age of nine in Cardiff where he studied with Harry Cawood before winning a scholarship at the Royal Academy of Music., later continuing at the Guildhall School of Music and Drama, and at the Amsterdam Conservatoire. He now seeks inspiration from Ivry Gitlis in Paris. 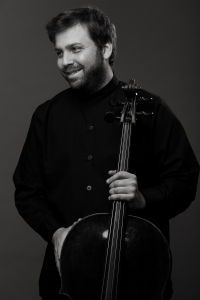 Benjamin has collaborated with leading artists such as the Brodsky Quartet, Ivry Gitlis, Emanuel Hurwitz, Mats Lidstrom, Alexander Baillie, Priya Mitchell, David Cohen and Thomas Carroll. As a viola player he was a member of the award winning Artea Quartet, performing in venues such as the Conway Hall, Purcell Room and Wigmore Hall as well as appearances on BBC radio 3 “In Tune” and a chamber music prom concert broadcast from the V&A on the BBC. Benjamin plays a c.1720 Joseph filius Andrea Guarneri violin generously loaned by the Albert Cooper’s family. The Strad described Tatiana Berman as “… violinist with a mature, compelling musical personality.”Tatiana began her musical journey at the Specialized Music School in St Petersburg, Russia. 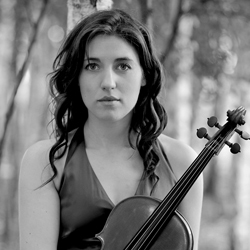 She then studied at the Yehudi Menuhin School and the Royal College of Music in London. Along the way she earned the prestigious Ian Fleming and Myra Hess Awards, and was a prize-winner at the Kloster-Schöntal International Violin Competition. Throughout her international career as a violinist she has collaborated with countless renowned musicians including Joshua Bell, Jeremy Denk, Bryce Dessner, Ivry Gitlis, Steven Isserlis, Elizabeth Leonskaja, Anthony McGill, Liang Wang, Nico Muhly and Ted Nash. As a soloist she worked with conductors Paavo Jarvi, Sarah Loannides and the late Yehudi Menuhin appearing with both European and U.S. orchestras, including London Musici, St Petersburg Academic and the Spartanburg Philharmonic. Berman is a passionate supporter of chamber music and the arts. She is a member of the London International Players ensemble and is founder and artistic director of Constella Festival (www.constellafestival.org), which has garnered attention for it’s brave inter-disciplinary performances and world premieres. British violist Rosalind Ventris has performed as a soloist and chamber musician throughout the UK and Europe, at venues such as the Emilia Romagna Festival (Italy), Royal Festival Hall, Purcell Room, Barbican, and Bridgewater Hall. Last season she gave recitals with pianist Lara Dodds- Eden at the Slovak Philharmonic (Bratislava), Het Concertgebouw Kleine Zaal and other Dutch venues in an International Holland Music Sessions tour, and, in the UK, at the Wigmore Hall, St Martin in the Fields, and Aldeburgh Festival. In 2013/2014 she performs at the Wigmore Hall again as part of a Viola Day with Tabea Zimmerman, Garth Knox, Antoine Tamestit and Thomas Hoppe, Brighton Festival, St. David’s Hall Cardiff, Lauenen Chamber Concerts (Switzerland), and is an artist in residence at the Banff Centre. Rosalind studied with David Takeno whilst reading Music at Corpus Christi College Cambridge where she won all the available prizes for musical performance, and later as a postgraduate and Fellow at the Guildhall School of Music & Drama. She won the Max & Peggy Morgan Prize at the Guildhall School, and received five prizes, including Yuri Bashmet’s President’s Prize, at the 2013 Tertis Competition. As chamber musician and soloist, Ruth has performed at leading concert halls across Europe, including the Wigmore Hall, Queen Elizabeth Hall and the Concertgebouw. Ruth recently performed as soloist under Sir John Eliot Gardiner with Bournemouth Symphony Orchestra, performed live on BBC4 and Radio 3 and was winner of the Royal Over Seas League Ensemble Prize, Tillett Trust Award and Tunnell Trust Award with the Finzi Quartet in 2010. Ruth has toured Russia, Finland, Mexico, France and South America with Camerata Ireland as Principal Viola and is currently a fellow in Viola at the Royal Northern College of Music. Fesitval performances this year include Wye Valley, Clandeboye, Lorn Live, RNCM Beethoven Festival, Glastonbury, the BBC Proms and the London Jazz Festival with her jazz sextet ‘Chambr’ As founder and artistic director of the String Quartet Collective, Ruth is delighted to be resident at the Royal College of Music this year. Romanian pianist Irina Botan was, from the age of ten, playing concertos with the Romanian National Radio Orchestra and the Bucharest Virtuosi in major halls such as the Romanian Athenaeum, the National Radio Hall and Enescu House. She has been broadcast on BBC TV and Radio as well as on Romanian TV and Radio and has performed in the United States, China, The Netherlands, Japan, Italy, France, Austria, Spain, Germany. Irina currently enjoys a busy concert schedule performing at prestigious venues such as the Wigmore Hall, Royal Festival Hall, Cadogan Hall, Royal Albert Hall, Purcell Room and Covent Garden. She is a Founder and an Artistic Director of the annual Highgate International Chamber Music Festival in London. Together with her partners of the Monte Piano Trio she is also an Artistic Director of Kammermusikfest Sylt in Germany and a co-founding member of the London International Players. 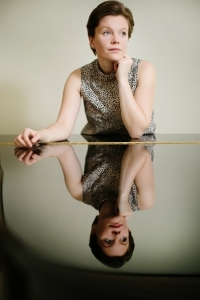 Acclaimed by The Daily Telegraph as a pianist of “amazing power and panache”, Clare Hammond gave debut recitals at the City of London, Cheltenham and Presteigne Festivals, and made return visits to the Wigmore and Bridgewater Halls in 2013. The Guardian wrote of her performance of Ken Hesketh’s Horae at Cheltenham that she “displayed its scintillating passagework and poetic calm with great flair”. A passionate advocate of twentieth and twenty-first century music, Clare combines a formidable technique and virtuosic flair onstage with stylistic integrity and attention to detail. Clare’s recent disc release, Reflections, of the piano music of Andrzej and Roxanna Panufnik, was featured on BBC Radio 3’s ‘CD Review’ and her performance described as “commandingly virtuosic” in BBC Music Magazine. International Piano Magazine recommended the disc as a “fascinating compendium, expertly executed” and it was awarded 5 stars in Diapason who stated that “Hammond excels at instilling each piece with an atmosphere”. Highlights in 2014 include 3 BBC radio broadcasts, debut performances at 7 festivals across Europe, including the ‘Chopin and his Europe’ Festival in Warsaw, the world premieres of works by 10 composers, and a Panufnik Centenary tour of Poland under the aegis of the British Council’s ‘Artists’ International Development Fund’. Cellist Ashok Klouda has performed all over the world and currently leads a busy and varied career combining solo performances, teaching and a variety of chamber music. 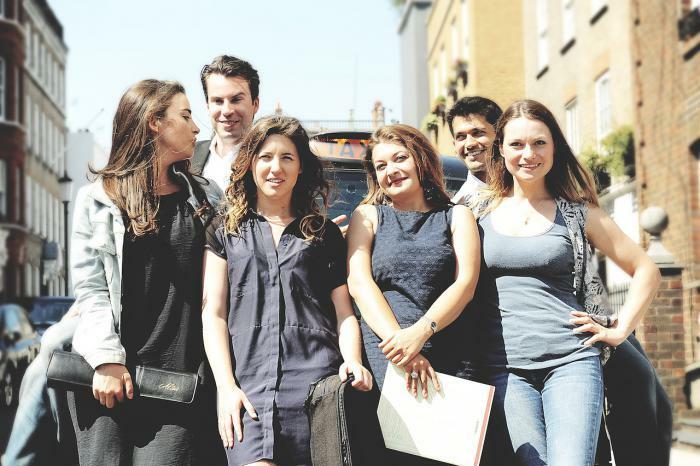 the Worshipful Company of Musicians/Concordia Foundation Young Artists Fund award. Other awards and prizes include 1st prize in the 2006 J. & A. Beare Solo Bach Competition, the 2007 Royal College of Music Cello Competition and the 2009 Tunnell Trust concert scheme. In addition to performing with the London International Players, Ashok is a member of the Artea Quartet and cello octet ‘Cellophony’, both of which have just recorded discs for the Champs Hill and Edition Classics labels respectively. 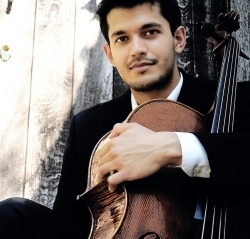 From 2009 to 2011 Ashok was cellist in the Barbirolli Quartet, during which time he toured Singapore and New Zealand, appeared throughout Europe as part of the ECHO ‘Rising Stars’ scheme and performed on the 1692 ‘Segelman’ Stradivarius cello kindly loaned to him by the Royal Academy of Music. British Violinist and composer Natalie Klouda has enjoyed performing internationally from a young age. Her earliest training was at the Yehudi Menuhin School where she was greatly influenced by Yehudi Menuhin and began her chamber music career touring Austria aged just 12. As a founding member of the award winning Finzi Quartet Natalie attended IMS Prussia Cove and worked closely with the Alban Berg Quartet. She has performed in major venues across Europe including the Purcell Room, Wigmore Hall, Concertgebouw and Queen Elizabeth Hall, winning international prizes including the ‘Wiener Klassik Prize’ for interpretations of Joseph Haydn and performing live on radio across the world and at home for BBC Radio 3. 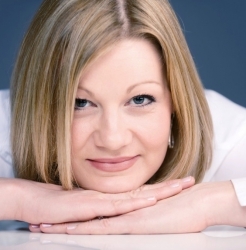 Natalie is a founder and joint Artistic Director of the Highgate International Chamber Music Festival and is also a Tutor in Chamber Music at the Royal Northern College of Music. 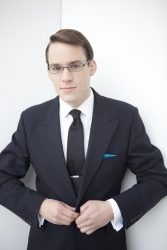 As an internationally recognised chamber musician and soloist, Nathaniel Boyd has appeared at the world’s leading concert halls, including the Wigmore Hall, Concertgebouw, Berlin Konzerthaus and the Paris Opera. Described as an ‘exceptionally gifted’ recitalist by Musical Opinion in 2013, Nathaniel is a laureate of numerous prizes for his work with the Navarra String Quartet, including the MIDEM Outstanding Young Artist Award, Cannes (2008), Florence International Chamber Music competition, First Prize (2005) and a Borletti Buitoni Fellowship (2007) as well as being selected for representation by YCAT and as a soloist, by the Tillett Trust (2009). His recordings of Vasks’ Quartets and Haydn’s Seven Last Words, with the Navarra Quartet, both received 5 star reviews from BBC Music Magazine. 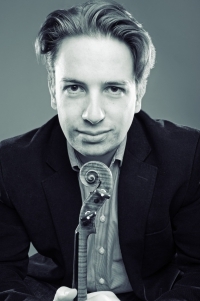 Recently Nathaniel has appeared as Principal Cellist with major UK Orchestras including the Orchestra of Opera North, Manchester Camerata, the Royal Scottish National Orchestra and Aurora Orchestra. Nathaniel plays a Grancino Cello of 1695. John Myerscough leads a busy international career as the cellist of the Doric String Quartet. Regular visitors to Wigmore Hall, since 2010 the Quartet has recorded exclusively for Chandos Records and have released recordings of works by Chausson, Korngold, Schubert, Schumann and Walton. Recent concert highlights include performances in New York and Washington, at the Berlin Konzerthaus, Amsterdam Concertgebouw, Hamburg Laeiszhalle and in Geneva, Milan, Paris, Prague, Stockholm, Vancouver and Tokyo. John also performs widely as a solo cellist. In 2006 he won the Gold Medal and First Prize at the Royal Overseas League Music Competition and has given recitals at Wigmore Hall, the Purcell Room, Cadogan Hall and the Holywell Music Rooms in Oxford, at the Brighton, Cambridge, Edinburgh Fringe and Kings Lynn Festivals and abroad at venues in Australia, France, New Zealand and Singapore. 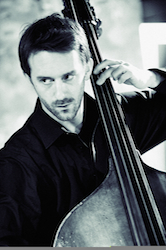 The first double bassist to be invited to study at the Yehudi Menuhin School, Tim has since appeared regularly as a soloist and recitalist in the U.K. and Europe over the last 20 years. He gave his Wigmore Hall debut recital at the age of 20 to critical acclaim, has given concerto performances on three continents and has performed at many of the U.K.’s leading festivals. Currently Co-Principal Bass with the London Philharmonic Orchestra, Tim was previously a member of the Philharmonia Orchestra. He has appeared as guest principal bass with numerous ensembles and symphony orchestras in the UK and has also spent considerable time in Japan as guest principal double bass with the Orchestra Ensemble Kanazawa. Tim is also a professor at the Guildhall School of Music and Drama in London. Very active as a chamber musician, recent engagements include performances at the SouthBank Centre’s International Chamber Music Series with Alison Balsom and the Aronovitz Ensemble and the City of London Festival with guitarist John Williams. Other collaborations include performances at the BBC Proms Chamber concerts with the London Conchord Ensemble and recording projects with the Doric and Sacconi quartets. He has also broadcast live on BBC Four, Classical FM radio, BBC Radio 3 and BBC Digital Interactive. Tim plays a double bass made by John and Arthur Betts London in c.1800. 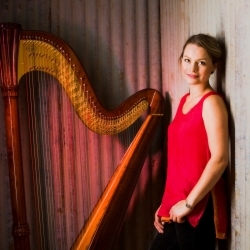 Eleanor Turner is recognized internationally for the warmth and passion she gives to her harp performances. In the 2007 Cardiff European Harp Competition she won First Prize, leading to recitals across Europe, sponsored by Salvi Harps. Eleanor also won Third Prize and the Peutz Audience Award at the Netherlands International Harp Competition 2010 and Second Prize in the Gaudeamus Interpreters Competition in Amsterdam in 2011. Eleanor started playing the harp aged five and entered the Royal College of Music Junior Department when she was eleven, studying harp with Daphne Boden. She made her concerto debut at the Queen Elizabeth Hall four years later, with the Academy of St. Martin in the Fields conducted by Daniel Harding. Competitions have gained Eleanor many wonderful opportunities; being a Making Music artist, and winning a Philip and Dorothy Green Award from the Worshipful Company of Musicians, leading to Eleanor’s Wigmore Hall debut in 2009. Grants and scholarships from The Tillett Trust, the PRS Foundation for New Music, the Musicians Benevolent Fund and a Wingate Scholarship, have enabled Eleanor to achieve many of her dreams. Eleanor is particularly grateful for the guidance of her teacher, Alison Nicholls, who mentored her throughout many of these challenges. 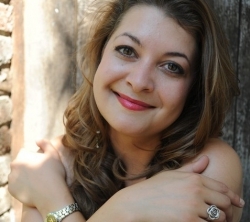 Born in Australia, Helen Sherman studied at the Sydney Conservatorium of Music and the Royal Northern College of Music where she was the first student to receive the International Artists Diploma for opera. In 2011 she represented Australia at BBC Cardiff Singer of the World and in 2013 Helen was awarded the Australian Musical Association prize at the Royal Overseas League Music competition, was placed third in the Wigmore Hall International Song Prize and was a finalist in the Francisco Vinas International Singing Competition in 2014. Recent engagements have included Nero The Coronation of Poppea, Aurellio L’Assedio di Calais and Dorabella Cosi fan Tutte (English Touring Opera), Nicklausse The Tales of Hoffmann (Opera Project) and Donna Elvira Don Giovanni (Mid Wales Opera). Helen has given recitals at Wigmore Hall, St. John’s Smith Square, Bridgewater Hall, at City of London and Cheltenham Festivals, and featured live on BBC Radio 3, In Tune and BBC Radio4 Women’s hour. Future engagements include Sesto La Clemenza di Tito (Classical Opera Company), Rosina The Barber of Seville (Longborough festival), Carmen (Mid Wales Opera) and Cherubino The Marriage of Figaro (Opera North). Helen is a Samling Scholar. Hailed by the Irish Times for being “as free in touching the heartstrings as he was in dashing off dazzling runs”, Bartholomew’s highlights with orchestra include performances of Dvorak’s Cello Concerto with the Royal Philharmonic Orchestra, Walton and Elgar Cello Concertos in the Barbican Hall as well as appearing as soloist with the City of London Sinfonia. He has also performed The Brahms Double Concerto with Daniel Stabrawa and the Poznan Philharmonic in Poland and Elgar’s Cello Concerto at the Sibelius International Music Festival in Helsinki. He was the first recipient of the Irish Chamber Orchestra’s honorable Ardan Award which led to appearances throughout the British Isles. Bartholomew engages in a rich variety of musical collaborations and has recently performed, amongst others, with Anthony Marwood, Christian Tetzlaff and Andras Keller. He frequently appears with the award winning Doric String Quartet with whom he recorded Eric Wolfgang Korngold’s string sextet for Chandos. 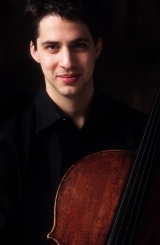 In 2011 at the age of twenty-six, Bartholomew LaFollette was appointed professor of cello at the Yehudi Menuhin School. He is especially grateful for the private loan of a Benjamin Banks Jr. cello made in 1785.